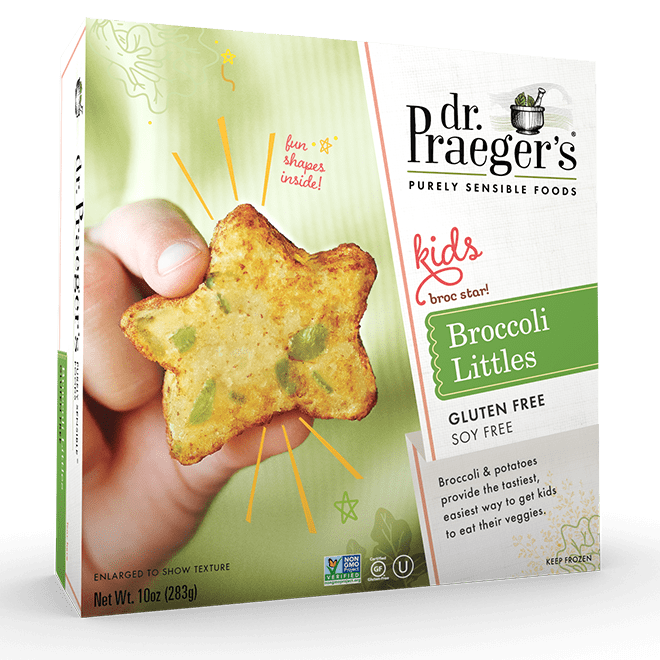 Broccoli & potatoes provide the tastiest, easiest way to get kids to eat their veggies. Fun shapes inside! Preheat oven / toaster oven to bake at 450°F. Place Littles on an ungreased baking pan. Bake approximately 6 minutes until browned. Carefully flip and bake an additional 4 minutes, until heated through and well browned. Preheat a non-stick pan over medium heat. Cook Littles approximately 6 minutes until browned. Carefully flip and cook an additional 3 minutes, until heating through and well browned. Place 5 Littles on a microwave safe plate. Cook on high for 1½ minutes. Carefully flip and cook 1additional minute. Product should be hot throughout but will not brown. Based on 1100 watt microwave oven.